Cersaie is a tile, not lighting exhibition, so light fixtures here typically receive little attention. 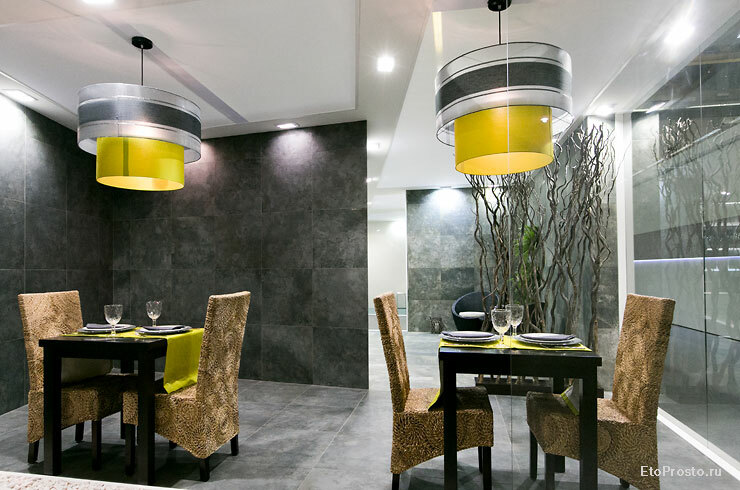 Nevertheless, each self-respecting light manufacturer does bring to its booth all the light fixtures that can be found in its offices (or at its designers’ homes). According to Cersaie designers, the more light you have, the more comfort there is. Most avid manufacturers photograph their booths, and represent them as interiors of apartments or bars, subsequently publishing them in catalogs. (No one usually suspects this trick is going on for three reasons: first, there is no reason whatsoever for them to suspect this at all; distributors at tile exhibitions only look at tiles, not lighting fixtures; and lastly, it is strictly prohibited to photograph at Cersaie, so the chances of seeing pictures from the show for the average person are little to none). However, regular visitors don’t pay attention to light at all. We decided to correct this horrible injustice. Painstakingly and diligently we studied all the light fixtures that we ran across at Cersaie, and in the name of a happy end to the end of the world and New Year’s celebration, offer you the best for your consideration. Several different lamps together, without any theme? Easy! Bisazza loves eclectic style. 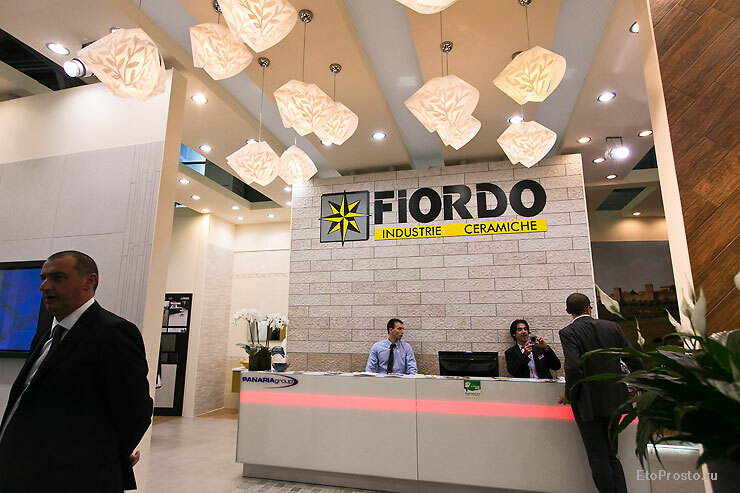 Marazzi – Italian tile market leader. Therefore, they impresses not by quantity or size, but by quality. Atlas Concorde is positioning itself as a modern manufacturer; that’s why the fixtures reflect this style as well. Fiordo chose the path of fantasy artisanship. Their unique lamps with leaves could be fantastic camouflage for Winnie-the-Pooh. In Portugal, the sun is always bright; therefore, the lamps by Pavigres reflect ultimate happiness. Viva does not manufacture its own tile. That may be the reason why they exhibited bunker-style cold and grey light fixtures. 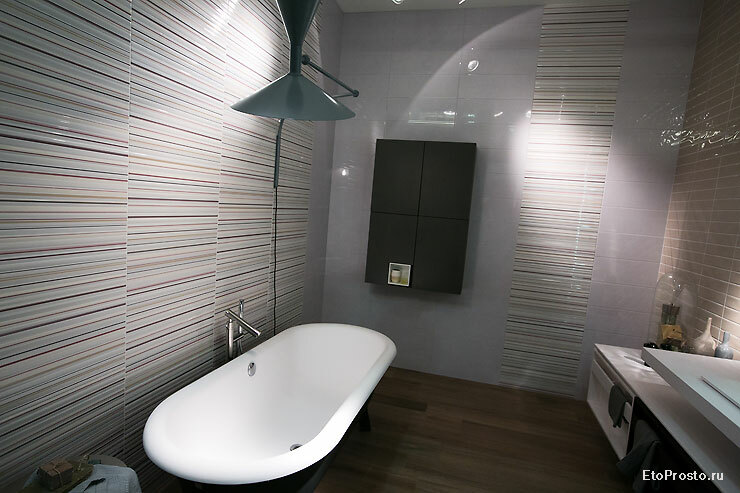 Sant Agostino invited Philip Stark for inspiration and design of its newest collection of tile. Stark brought light with him. This lamp appears to be from the home of the same designer that accessorized the Magica collection. The lamp at the Love Ceramic Tiles booth is a reminder of the works of Valli. Staying with the cosmic theme, an alien lamp from the La Fabbrica booth. When aliens take over Earth, they would most likely drink tea from similar light fixtures that are made by Sant Agostino. In addition to lamps, there were displays of posh chandeliers. Next to them, any tile would either look more expensive, or no one would care what kind of tile you have. Of course, the more such chandeliers in one’s booth, the better. Bisazza is a great example, attracting masses of important-looking people in formal attire. Bisazza, by the way, really did have chandeliers all over the booth. In case a chandelier is hard to come by, a classic table lamp may replace it. Even better if it has frozen figurines under it. If all else fails, a statue of a black bird would also suffice (Love Ceramic). 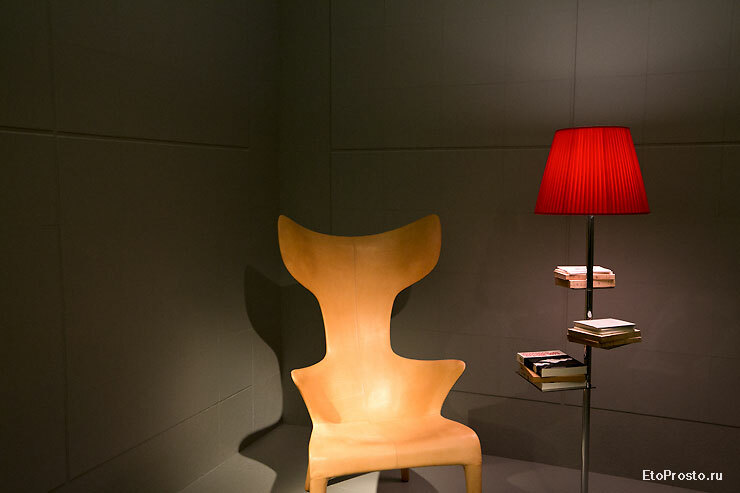 FAP designers thought that a floor lamp is a sufficient substitute for a table lamp. Constant experiments with tiles lead to the conclusion that at the Cerdisa booth, the light fixture floats in the air. And for dessert, a light fixture resembling a candy from the Ariana booth. These were the best light fixtures from the Cersaie Exhibition. 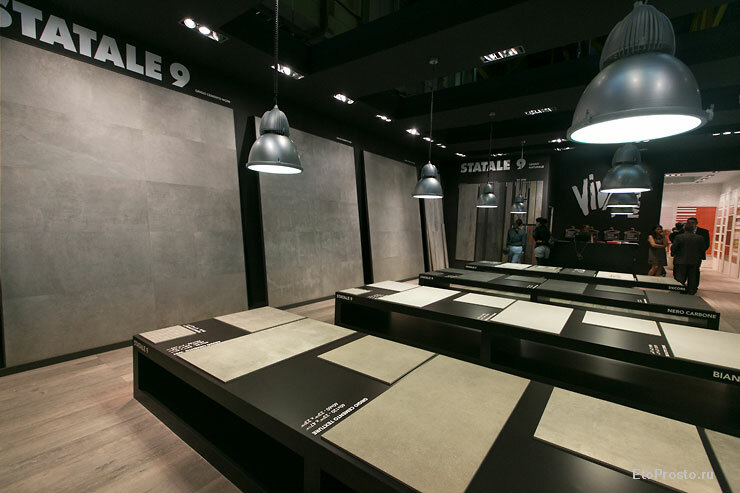 If you want the details on tiling presented by the exhibitors, please read the article Photo Review of the Cersaie Exhibition.